Any debtor who files a petition in good faith in U.S. Bankruptcy Court is automatically and immediately protected from creditors. No more phone calls or nasty letters. No more lawsuits or liens. No more worries about foreclosure, repossession or wage garnishment. If you can't pay your debts and can't take the constant hounding from creditors, the attorneys of Scura, Wigfield, Heyer & Stevens, LLP, can help you explore bankruptcy as the possible solution to your financial crisis. With offices in Wayne, Hoboken and Elizabeth, our experienced lawyers have helped individuals and couples across northern and eastern New Jersey stop harassing phone calls and obtain real debt relief. Contact us for a free initial consultation. Creditors or third parties who continue to harass you or pursue legal action after the automatic stay are subject to contempt of court penalties in Bankruptcy Court or substantial civil fines under the federal Fair Debt Collection Practices Act. 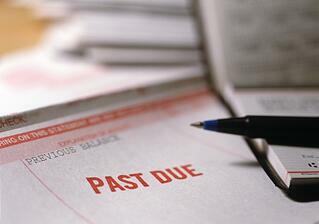 If creditors or collection agents persist, refer them to your attorney. Our clients often tell us that simply ending the constant bill collector calls from creditors greatly reduces their stress level, even before they receive a Chapter 7 discharge of debts or Chapter 13 repayment plan. Let us determine if bankruptcy is right for you. The New Jersey creditor harassment attorneys of Scura, Wigfield, Heyer & Stevens, LLP, will personally meet with you to discuss your financial situation and your debt relief options. Call us at 973-870-0434 or contact us online today for a free initial consultation. The law firm of Scura, Wigfield, Heyer & Stevens, LLP, welcomes clients of Passaic County, Hudson County, Union County and throughout New Jersey.